JaguarShoes Collective is opeing a pop-up cocktail bar in Chapel Market, near Angel, in the art-deco Manze's Pie & Mash shop. As the pic above shows, it's a very atmospheric space, and will create a perfect vibe for sipping drinks. It's open from Thursday 3rd March to Saturday 16th April, Thurs-Sat only. Go! "Go on a ‘toot’ in Chapel market with JaguarShoes Collective’s AFTERHOURS... where the cocktails have plenty of ‘moxy’ and the oysters are the ‘cats meow’. The Shoreditch collective have take over the sublimely beautiful, historic Art Deco establishment, L. Manze. 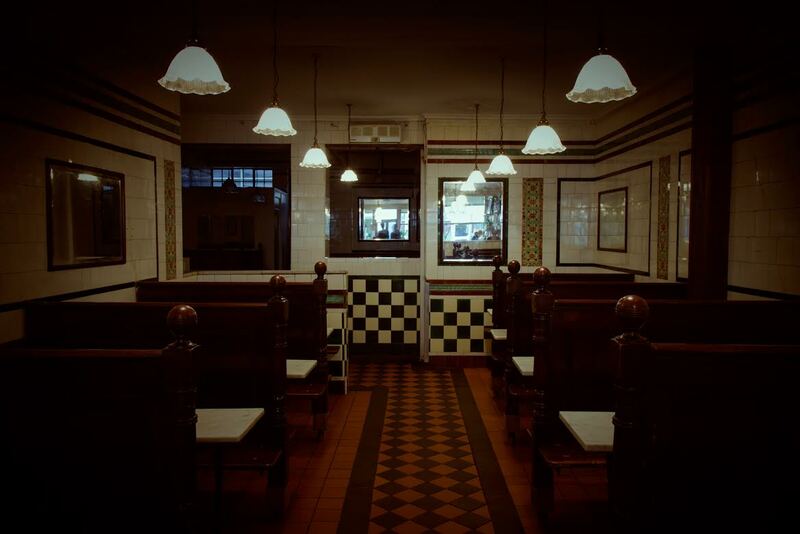 A family business of London pie and mash royalty by day, throughout March and April the restaurant will transform by night into a cocktail ‘speakeasy’ for an Afterhours ‘hotsy-totsy’ time. Inspired by the original 1930s interior, Afterhours bespoke menu will feature a selection of prohibition era style cocktails with a modern twist. For the launch weekend there will be an in-house oyster bar hosted by shucking expert The Oyster Boy. There will also be a selection of some of our favourite bottled beers and wines for those with an early start on Friday."